KABUL -- Afghan officials and analysts are rejecting unsubstantiated rumours and speculation that the United States is arming and supporting elements within the "Islamic State of Iraq and Syria" (ISIS) terrorist group in Afghanistan. "Several such rumours are making the rounds in Afghanistan," Farooq Bashar, a Kabul-based Afghan law professor and analyst, told Salaam Times, dismissing the alleged reports. "One should never believe such baseless rumours claiming that the United States has brought ISIS [to Afghanistan]," he said. "Despite such rumours, I do not believe that the United States and the West support ISIS or the Taliban. Quite the contrary, they have come here to kill these terrorists," Bashar said. "ISIS fighters are restricted to small and limited areas of Afghanistan, and their numbers are shrinking," he said. "The world is monitoring ISIS militants, and their leaders and fighters are being targeted wherever they are found." Neighbouring countries propagate such rumours to create confusion among the Afghan people and to sow distrust among Afghans and their foreign partners, said Ahmad Behruz, a Kabul-based political analyst. "Since the emergence of ISIS in Afghanistan, we have seen serious practical measures taken against them by the Afghan government and the international forces headed by the United States," he told Salaam Times. "The dropping of a bomb, known as the 'Mother of All Bombs', on an ISIS stronghold in Achin District, Nangarhar Province, as well as hundreds of air strikes against that terrorist group's positions by US forces, should readily debunk rumours of any alleged US support for ISIS, including reports about bringing [ISIS militants] from Iraq and Syria into Afghanistan," he said. The United States dropped its largest conventional bomb, the GBU-43/B Massive Ordnance Air Blast (MOAB), on an ISIS hideout in Achin District on April 13, 2017. At least 36 ISIS fighters were killed in the strike, according to Afghan defence officials. "Afghanistan does not differentiate between good and bad terrorists, and there are no such definitions for them in Afghanistan's [political] dictionary," Ghafoor Ahmad Jawid, a Defence Ministry spokesperson, told Salaam Times. "The Afghan government and its international partners are fighting all terrorist groups," he said. "ISIS has suffered heavy losses and defeats. In fact, dozens of ISIS fighters have been killed over the past few days," Jawid said. US and Afghan forces are continuing their efforts against the terrorist group, which has committed a host of atrocities against Afghans. 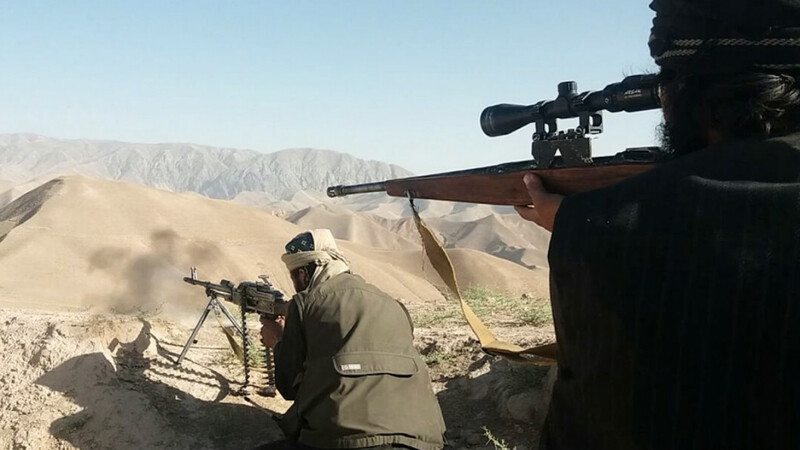 "[ISIS] movements are now limited to a few minor actions in Haska Mina, Nazian and Achin districts in Nangarhar Province," Jawid told Salaam Times November 20, adding, "At least 50 ISIS militants were killed in Haska Mina" the night before. 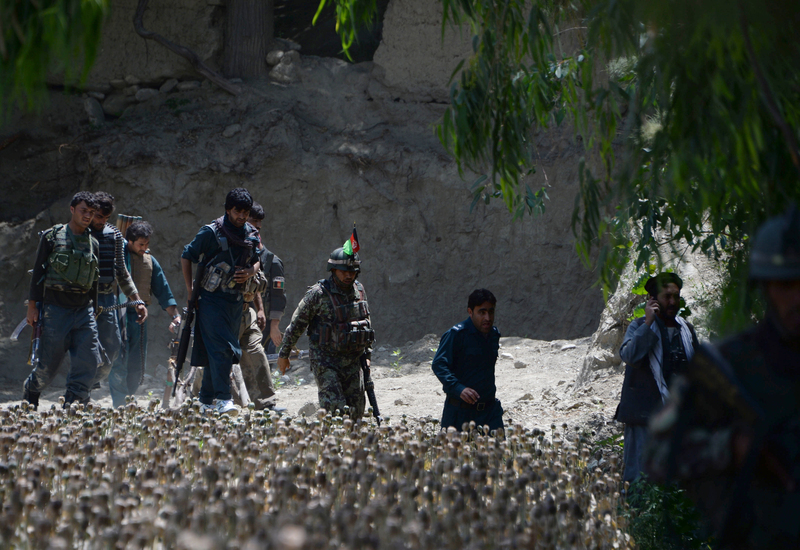 "A serious operation has started against the group, especially in Nangarhar and Kunar provinces, and they will be killed wherever they are found," he said. Afghan and coalition forces have killed four of the group's commanders since it began operating in Afghanistan, according to Jawid. The most recent of those ISIS commanders was killed on August 25 along with 10 of his men in joint Afghan and coalition air strikes in Khogyani District, Nangarhar Province. "ISIS is a new phenomenon in Afghanistan, and civilians don't know them as much as they knew the Taliban," Gen. (ret.) 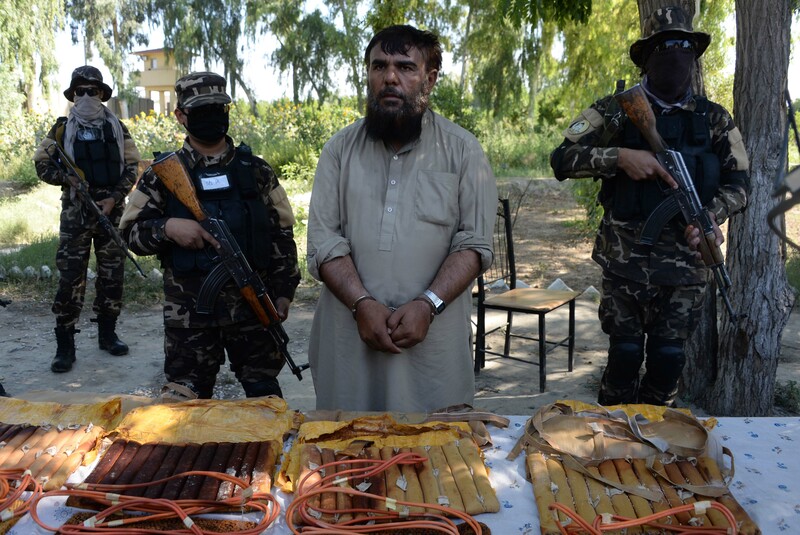 Atiqullah Amarkhil, a Kabul-based former military intelligence official, told Salaam Times. "ISIS members are extremely vicious and cruel and have committed many atrocities, including killing local elders with mines, murdering children -- none of which have any place in Islam," he said. "These crimes caused civilians to hate them." "It was for these and other reasons that ISIS militants in Afghanistan suffer heavy casualties and aren't able to succeed," he said. Work should be done for peace. And work for peace is done through bringing pressure on Pakistan to stop giving support Taliban. If Pakistan closes Taliban's offices and centers in Quetta, Peshawar and other places and surrender their leaders to Afghan government, this issue can be solved in a short time. United States and the western world should put pressure on Pakistan, impose economic sanctions on it, and force Pakistan to stop supporting Taliban. Only 400 to 600 ISIS militants are left in Afghanistan, says the Ministry of Defence. Ongoing operations of Afghan forces have snuffed out the group's ambitions in the country, and its decimated leadership is struggling to find new recruits among the population.